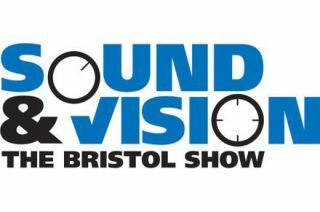 Bristol Sound & Vision Show 2012 | What Hi-Fi? The 2012 Bristol Sound & Vision Show, organised by Audio T in association with Sevenoaks and What Hi-Fi? Sound and Vision, is now well underway. The show opens from 10am until 5pm today and on Sunday, February 26th. Visit the show and you'll be able to watch our ultra-HD demo, and don't forget the test team will be on hand throughout the weekend to answer your hi-fi and home cinema queries. What's more, there will be hundreds of new products on display, great discount deals and some fabulous prizes to be won in our £10,000 show competition. And you can download the show app for your smartphone too. Cutting-edge 3D tech, Blu-ray, streaming systems, wireless multiroom, and products designed to take your music and make it sound even better – it will all be on display, with 187 exhibiting brands exhibiting. The show takes place at the Marriott Hotel, Lower Castle Street, Bristol BS1 3AD. We'll be in the Bristol Suite (above) as usual. For the first time, you can buy tickets online in advance and save 10%: so that's £8.10 (one day), saving you 90p, or £13.50 (two day), saving £1.50. Click here to buy now. Alternatively, tickets are available on the door for £9 (adults) and £6 for students and senior citizens. Two-day tickets will be available for £15 (£10 for students/senior citizens). Accompanied children under 16 are free. More details on the show website. The big news from Arcam will be the launch of three new DACs: the £2000 FMJ D33 SuperDAC; the drDock for iPhone, iPad and iPod; and a brand-new rPAC (below), a USB-powered portable DAC with a headphone amp. Click here for the full story. Arcam is also running a Bristol Show competition, with a white rCube Sound System to be won. All you have to do is 'like' Arcam's Facebook page, and a winner will be picked on February 29th. Acoustic Energy will be demonstrating its Reference series loudspeakers in its two-channel room. These high fidelity transducers trace their heritage right back to the original AE1 and AE2 and bring the concept up to date with modern materials, high-tech engineering and ebony veneer finishes. For home cinema fans, the affordable Compact range will this year deliver multi-channel thrills and demonstrate what a good budget 5.1 speaker package can do. Bristol will be the venue for the European launch of Amphion's £4000 Argon7L speakers, two-way vented floorstanders with a 1in titanium tweeter and a pair of 6.5in aluminium mid/bass drivers. Impedance is 4ohms and sensitivity 93dB/w/m. To compliment the Asimi, Mavros and Ascent ranges, Atlas will be showing the Eos, Hyper, Equator and Ascent ranges of interconnects power products and speaker cables. Also on show will be the new Element and Equator HDMI cables. Atlas will be using Vivid speakers and Chord amplification as part of its demo. For those interested in technical details, the designers from Vivid Speakers and Atlas will be on hand to explain their designs and the benefits they provide. After a long hiatus, Audio Note U.K. is returning to the Bristol Show. Its products have always used valves exclusively, rather than transistors, and you'll be able to audition them first-hand in Bristol. Anthem AV Solutions will again be providing sound and processing for the SIM2 3D cinema. Anthem receivers, processors and amplifiers, Paradigm speakers, Black Diamond projection screens and Clark Synthesis transducers will all be on demonstration. The company will also be launching Paradigm’s new Monitor Series 7 subwoofers to the UK and demonstrating the Anthem Statement M1 amplifiers for the first time. New from Chapter will be its Note range of AirPlay streaming amplifiers. The NotePad 250 and NotePad Air are 250W and 180W amplifiers respectively, each designed to be driven by any Apple iOS device using AirPlay. They will also stream up to 24-bit/192kHz high-definition tracks using UPnP (universal plug and play). Chapter will also be showing its NotePower 400 and 600 mono analogue Class D amplifiers. The full range of Chord interconnects, speaker cable and digital cables will be available from Chord's stand in the Foyer. Chord staff members will be happy to answer questions and recommend cable combinations that will bring your music and film to life. Bristol will also be the first chance to hear Chord's new Sarum USB cable. Demonstrations will take place in Room 112 throughout the show; tickets for this dem are available from Chord's Foyer stand. And if you sign up for the Chord Company e-mail newsletter at the firm's stand in the Foyer you will be entered into a prize draw where you could win one of Chord's 1.5 metre SilverPlus USB cables. There will be ten lucky winners. Chord Electronics has chosen Bristol for the world debut of its first-ever network music player, the Index. This new streaming and internet radio source component is the latest edition to the 11-strong Chordette range of compact high-performance products, all of which are hand-assembled in Chord’s Kent HQ. In addition to enjoying high-resolution music via the Index, visitors can also experience Chord’s Reference system,. We've just tested the Cocktail Audio X10 streamer in our February 2012 issue. It's an audio system with CD storage, internet radio and a music streamer. You can load your CD collection to the hard disk allowing instant access to all of your music from the remote control. Cyrus is targeting the sub-£800 hi-fi separates market with its new 6a amplifier at £699, and has repositioned the price of its CD players at the same time. You'll be able to see and hear the new 6a and 8a (£1200) amps in action at the show, along with the new 6 DAC (£899), 8 DAC (£1400) and 8 Qx DAC (£1700). Centrepiece of the Dali stand will be its new flagship Epicon 6 (right) floorstanding speaker, which we first saw at CES 2012 in Las Vegas. Three years in development, the Epicon 6 uses Dali's bespoke Linear Drive Magnet system. This was developed to address the four causes of distortion in the motor system, so the listener hears exactly what's on the recording. Dali has built a special manufacturing unit to make the magnet systems and drivers from scratch, and the woofers are the first to be developed and manufactured in Dali's own factory, as is the hybrid tweeter. Epicon 6 is available in three real-wood luxury finishes: walnut, ruby macassar and black. Bristol will be your first chance to experience the Dynaudio Xeo wireless speaker system, one of our Top 10 stars of CES 2012 (shown below). The Xeo product range includes a compact speaker as well as a floorstand version. Click here to see full story and video. New from Eclipse will be the TD508Mk3 (£960), TD510Mk2 (£1920) and TD510zMk2 £3840) time domain speakers, built with new speaker drivers, larger cabinets, heavier mass anchors, enlarged ports and magnetic shielding. They can be fitted with multi-angle desktop stands that can also be used as flexible wall and ceiling mounts. German speaker company ELAC is inviting visitors to come and hear its products for themselves at the Bristol show. Elipson will be launching its Planet M speakers and showing the BS50 Tribute. The Planet Sub will also see its debut at Bristol. This innovative cylindrical subwoofer is designed as the ideal partner to the Ms in either 2.1 or 5.1 format. Tangent will display its new Jacob Jensen designed Fjord iPod dock systems together with a number of new high-quality DAB radio/docks. Exposure will be launching its new 1010 CD player and integrated amplifier at the show, along with the recently released 2010S2 DAC and complete MCX system. Click here for the full story. Whole-house video company HDconnectivity is giving away a complete HDanywhere system, worth £2500 and allowing up to four sources to to be distributed to four rooms, at the show. You can win a system based around the company's new HKHA414SW hub (above), which can carry video at up to 4K resolution over a single run of CAT-5 cable, and the lucky winner will not only get all the equipment required, but also cabling and installation. To be in with a chance of winning the system, visit HDanywhere at the show. Heed Audio UK manufactures a range of compact high performance electronics including integrated, pre and power amplifiers, CD transport and DACs. It will be re-launching the brand and re-establishing the UK roots of the original Obelisk amplifiers by showing off new, UK re-engineered and supplied Obelisk designs, featuring updated styling and finishes currently only available in the UK. The new CD transport and DAC will get their first UK public presentation, together with the latest USB Audio 2.0, 192kHz/24bit module and the series II version of the Obelisk Si integrated amplifier. On demonstration (Room 116) will be a spectacular two-channel system, consisting of products from Roksan Audio, a prestigious Pro-Ject Audio turntable and a range of Audiovector speakers. On display across the company's two other stands (8 and 10B) will be a variety of products from Ortofon, Audio-Technica, Lehmann Audio, Custom Design and Spin Clean. Hi –Fi Racks is set to launch a brand-new range of corner-fitting products called Akorner (left). Designed in response to customer demand, the floor-mounted Akorner will be joined by the Akorner Wall, a wall-mounted, shelf-based unit. At the same time, Hi-Fi Racks will also unveil its brand new, ergonomically-designed Headphone Holders, designed tol provide a perfect resting place for your cherished headphones when not in use. HiFidelity UK will be showing the new DMD range of Usher Audio floorstanding loudspeakers featuring the Mini series. And you'll also be able to see the exclusive first showing of the Graham Slee Pre/Power combination of amplifiers. Demos every 30 minutes, 11am - 3pm daily. Primare returns to the show with demos of its BD32 universal player and SPA22 AV amplifier in a multichannel system, and two new products: a media streaming version of the globally acclaimed I32 amplifier and a new pre-power combo: the Pre32/A34.2. Celebrating its 50th Anniversary year, KEF will be showcasing some of its latest product innovations; the cutting-edge Blade speakers and the all-new R series range (below). Also on demonstration will be KEF’s Q700 5.1 AV system. New on the Leema stand will be its Elements range, along with the Link series of interconnects and speaker cables. Visitors will also be able to enter the company's free prize draw to win a set of Leema Linx cables worth £880. A new name to some in the UK hi-fi market, Ming Da has just celebrated its 20th year manufacturing “high end” valve amplifiers. The company will be showcasing its new MC84-CII iPod dock (see below), Class A 805A monoblocs, and the five-channel MC5S amplifier designed for the home cinema market. There'll also be a prize draw for to win a MC767-RD phono stage. Check out the new Shadow Series (shown here), one of our Stars of CES 2012 and first unveiled in Las Vegas in January. Denon and Marantz are teaming up at the Bristol show to demonstrate the latest innovations in AirPlay technology. On display will be a variety of AirPlay-enabled products from the Marantz NA7004 to Denon’s newly launched DNP-720AE (below), plus the Melody Media. Professionally trained experts will be on hand to provide specialist advice and live demonstrations showing the various capabilities of their products using Apple iDevices. Naim Label will, as usual, have all of its latest recordings available to purchase in the foyer, including Naim Jazz, Naim Edge and Naim Classical titles and some tempting exclusive show offers. Naim will be showcasing its vision for the future of hi-fi at this year’s Bristol Show with its award-winning range of digital separates and all-in-one audio players. And if that wasn’t enough, visitors to the show will get an exclusive first look at the newest addition to the range. Visit Naim in the main exhibition hall to find out more and then head up to Room 118, Naim’s main demonstration room on the first floor, to hear the products for yourself. Once again, Nordost will be conducting its entertaining and informative presentations, demonstrating just how big an impact cables can make on system performance – and the latest Norse 2 cable will make its European debut at the show. Calfornian hi-fi company NuForce is using Bristol for the European launch of its £4600 P20 preamplifier which replaces the outgoing P-9. There have been improvements to the volume control, amplifier module and isolation. Onkyo has a real treat in store for visitors to its room this year. Taking centre stage will be a rolling demo of the firm's flagship BD-SP809 Blu-ray player and TX-NR5009 receiver, both of which received five-star reviews in our February 2012 issue. Join Optoma at this year’s Bristol Show for an exclusive demonstration of the new Full HD HD23 and the existing HD33 and HD83 Full 3D 1080p projectors. Philips says it will demo 3D TV for "the ultimate cinematic viewing experience". It will preview its LED 8 and 9 Series range from 32in up to and including the 50in 3D model. Pioneer will be returning to the Bristol Sound & Vision show this February to showcase its 2012 product range. This year’s Pioneer room will include AirPlay demonstrations, showcasing the company's new AirPlay enabled N-30 (pictured below) and N-50 network audio players as well as its current AirPlay-enabled X-SMC iPod range and flagship amps. Visitors will be also be able to experience Pioneer’s headphone ‘play’ wall, where they can listen to a selection of headphones. Click here to see full story and video. Demonstrations will be in held both in stereo and in surround supported by the new Bryston SP3 processor. Bryston’s new BHA-1 headphone amp will also making its UK debut at this year’s show, as will the firm's SP-3 surround processor. ProAc will be showing its highly acclaimed Response D18 floortstander (right) which has won a What Hi-Fi? Sound and Vision award two years running. Visitors will also be able to enter a free prize draw to win a Quadral Qunitas 5000, 5.0 speaker system. Quadrapsire is set to launch its full range of Bamboo Evolution equipment racks at the Show. The new Q4 Bamboo hiﬁ rack "outperforms the Q4EVO wood veneer due to the solid bamboo’s inherent superior dampening propertie", the company claims. Additonal features of the new racks include '"intricate machining on the underside of the shelf to further reduce mass and resonance without losing any of its strength, a flexible modular solution to ﬁt most systems and solid, non-magnetic aluminium columns". REL has released released eight new subwoofers over the last year, and its newest arrival is the T-ZERO which will make its debut in room 310. This new unit is the most compact sub the company has ever made, uses Class A/B amps and two 6in drivers. Sansui Electronics UK is relaunching the Sansui brand in the UK with a range of audio components, micro system and portable devices. The 2011 range consists of a CD player, integrated amplifier and wi-fi network player/internet/DAB/FM tuner as well as a wi-fi micro system. All products are available in black or silver finish and the network products are all controllable from the free Sansui Libretto iPhone/iPod touch/iPad app allowing complete wireless remote control of content. Visit Sennheiser on stand 4B to experience the "next level of sound" with the new HD 700 headphones (image below). Click here for the full story. If you like what you hear you can sign up for a free trial so you can listen to them in the comfort of your own home. The company will also have its full headphone range on live demo and a large selection of potable models for you to purchase – many at exclusive show prices. Highlight of the SIM2 stand will be UK launch of the world’s first active-shutter 3D LED projector. The MICO 150 (shown) brings "the extra immersion of the 3D big picture experience to the benefits of LED projection", says SIM2. Benefits include no lamp changes, instant on/off, lower power consumption and stunning black levels. Sony will be running ticketed HD home theatre demonstrations in the Madrid suite. Making their UK debut at Bristol will be the VPL-VW1000ES 4K projector, along with the STR-DA5700ES premium AV receiver.They'll form part of a demo featuring HD multichannel sound with 3D, 4K upscaled and 4K original video content. Other products on demo will include the STR-DH820 AV receiver and the BDP-S780 Blu-ray player. Spaces are likely to be limited, so make sure you book a ticket and avoid disappointment. Tannoy will be demonstrating two new budget multichannel loudspeaker systems and unveiling the all-new Precision range of stereo loudspeakers. Click here for the full story. The Mercury V4 and 5-Star Mercury V1 meet the Mercury VC centre and the new TS2.10 twin-driver 300W subwoofer to create a complete 5.1 system. For those on a tighter budget, the TFX 5.1 is designed to deliver "affordable high resolution audio thrills with any surround sound format", we're told. At Bristol, Talk will have the UK’s first showing of no fewer than ten new products. The Apprentice Turntable package at £299.95, the Apprentice MM matching phono stage at £89.95, the Apprentice IA1 50W integrated amplifier at £495, the HA1 headphone amplifier at £289.95, the MC2 PLUS 2 box adjustable phono stage at £999.95, the SP1 bookshelf speakers £549.95 and the all-new Talk Cyclone 2x75W Integrated amp for £895. Talk Cables will show its new Monitor interconnect at £64.95, while Saxon Audio will have the all-new P720 £1200 200W digital power amp. Timestep will use Bristol for the world premier of its EVO II turntable with enhanced platter, which is a simple upgrade of the Technics SL-1200. The fully automatic, double-sided Vinyl Clear will also be demonstrated throughout the show. Track Audio’s product range includes stands (left), floorstands, subwoofer stands and monitor stands. Its accessories range includes isolation foot adaptor kits, spike kits and cones. All will be on show at Bristol. At the show Vertere will be demonstrating how its cables can improve your system. This is the stand for vinyl fans to go to. Vinyls Best will have a collection of audiophile/collectible records plus some great bargains at low prices. And don't forget the strangely named OKKI NOKKI record cleaning machine will be on demo too. Supra will launch its new USB cables (lengths from 0.7m up to 15m) at the Bristol Show in Feb 2012, along with the new HD5 range of High Speed HDMI and Ethernet cables (upto 30m). Also available will be the new Supra HDMI XT80 High Speed and 3D Extender, allowing customers to run HD signals over very long distances (up to 80m), using two pairs of Supra CAT7+ Ethernet cables. Supra's new CombiCon M6 Banana and Spade Connectors will also be available. Come and see our state-of-the-art demo, and the editorial team will be on hand throughout the show to answer all your TV, hi-fi and home cinema queries. Pure Geometry is the theme for 2012 and will feature strongly in Wilson Benesch's product demonstrations, technology displays and the "Science Behind the Designs" presentations by Design Director Craig Milnes. This year XTZ will showcase a range of new products, including the XTZ 99.36mkII Piano Black speaker which will be partnered with the XTZ CD-100/11 CD player and XTZ A-100D3 integrated amp and XTZ AP-100 power amp. There will be a 12.5% discount on all XTZ products throughout the show. Yamaha’s new high-end Aventage receiver range – including the RX-A810, RX-A2010, RX-A1010 and RX-A3010 – will be on display. The RX-A3010 will be on demo with the BD-S671 Blu-ray player. You'll also be able to hear the Award-winning YSP-2200 soundbar in action, along with the brand-new entry-level YAS-101 (below). Hi-fi separates will be represented by the Yamaha CD-S300 and A-S500 stereo amp. The MCR-555 micro system will also be available to demo. And for something a little different…check out Restio.